When I started these monthly updates a few months ago I told myself I would try to get them posted by the end of the first full week in a month. That clearly isn’t going to be the case. I’ve truly struggled this past month reading wise. I’ve spent almost 20 days reading the same novel/memoir and I’ve spent a lot of time playing Minecraft (check it out if you don’t know what I’m talking about). I’m not sure if Waiting for Snow in Havana just wasn’t what I wanted to read now, or if Eire said something to really irk me while reading the novel, but it has been a struggle to finish. I did finish it and will have the review up tomorrow. I’m glad to report The Namesake is such a beautifully written and simple book that I’m flying through it and will probably have a review for next week, as well as my annual review of the Boston Book Festival! I’m very excited for the Festival this weekend – I just ordered the original book festival poster from 2009. I wanted one and a bag from the first year but couldn’t afford it as I was still a VISTA. I was able to get a poster, but the bags sold out this time last year. I’ve already sorted out the workshops I’m going to and am only letting myself take $40 to spend on books (aka one grab bag if the same vendor is there this year, and a random book to get signed if I’m inspired by a panel). It’s dangerous that it falls on payday weekend. 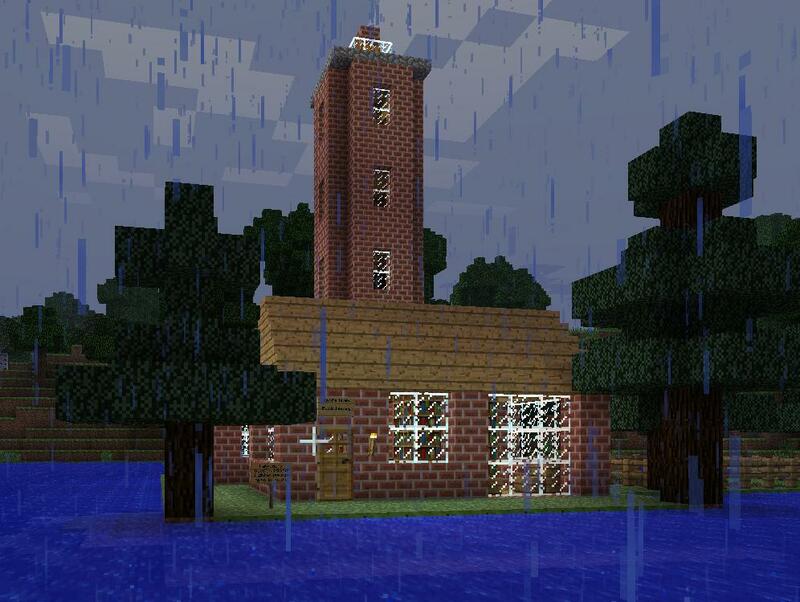 And as no blog post is complete without pictures, check out the library and light house I’ve built in Minecraft. 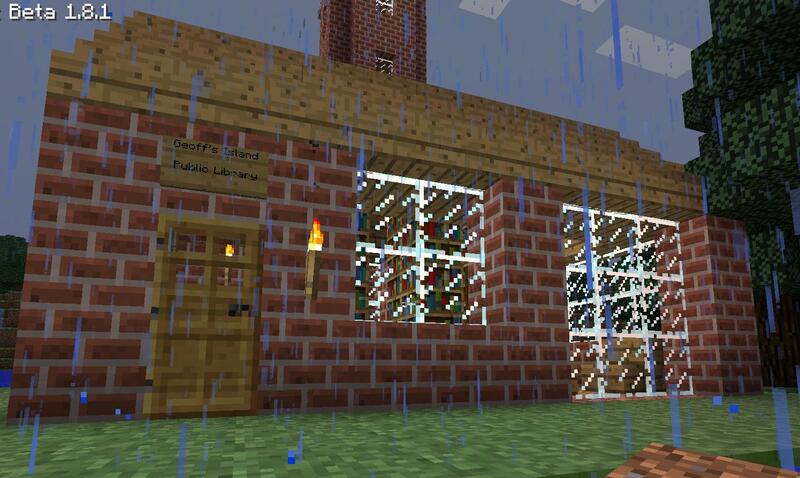 (It’s the local public library – as no town is complete without one!) 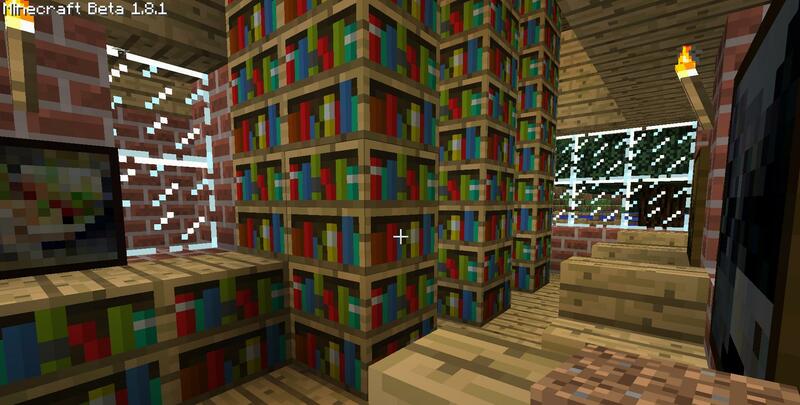 I’m working on a University sized library on a hidden island elsewhere in my world and I’ll post pictures of it when it’s completed!